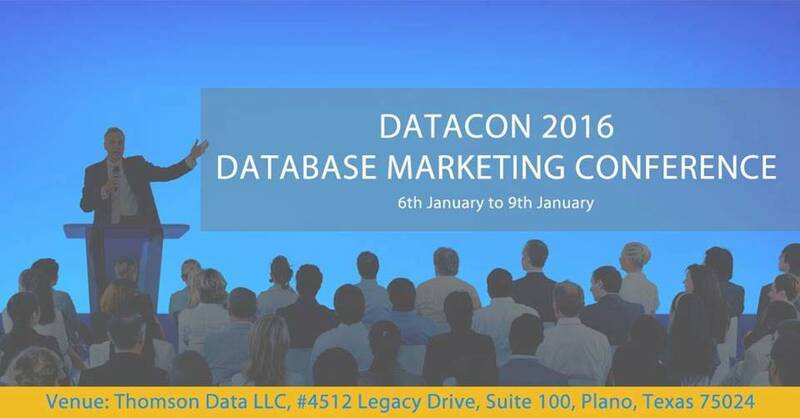 “DataCon 2016 features international speakers of innovative companies as well as marketing professionals from various industries who provide insight and share best practices of how database marketing can help you engage and interact with new and existing customers more effectively.” said John Duff, Marketing manager at Thomson Data. Do’s and Don’ts of Database Marketing. Learn how to create an integrated approach to harness customer data. Foster data into becoming the essence of your marketing strategy. Enhance your ROI by building a successful data strategy. Challenges and limitation of database marketing. DataCon 2016 helps you to learn how to boost your sales by generating personalized communications in order to promote a product or service for marketing purposes.